The rapper, who has been vocal about supporting President Donald Trump, met the man in the Oval Office for a now famous conversation that ranged from why wearing a MAGA hat is like a "Superman cape" and what Trump can do to help black people in this country. 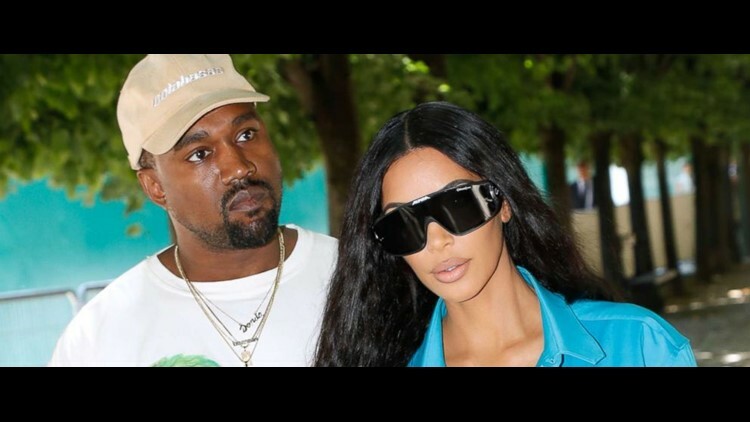 (ABC News)--In an interview with Alec Baldwin for his new talk show, Kim Kardashian West spoke candidly about her support for husband Kanye West, no matter his political views. In her interview with Baldwin, Kardashian West first discussed the president's decision to free Alice Johnson earlier this year, who had been in prison for cocaine trafficking. The reality star and businesswoman said she believes Johnson might still be in jail if her husband hadn't been so vocal about Trump. "Alice always says if it wasn't for Kanye speaking up in support of Trump, then she would still be in jail," she told Baldwin, according to USA Today. Kardashian West, 38, continued, "I let him be who he wants to be. I let him have his own views and opinions, even if they're different than mine. I grew up in a household where ... we would always just talk about it and be open about it and it was really OK to have different views. For me, I think it's just about having an open mind." Kardashian West said Johnson's case wasn't a Democratic or a Republican issue. "I'll find something that I believe in, and I've figured out how to use my voice," she said.